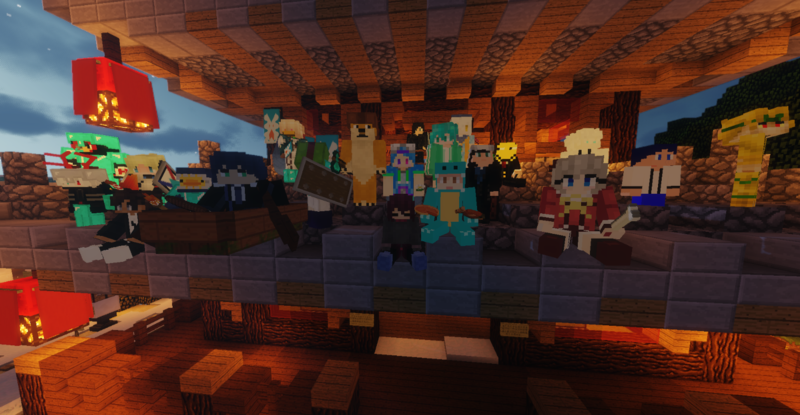 "hosting a small server and creating skins." 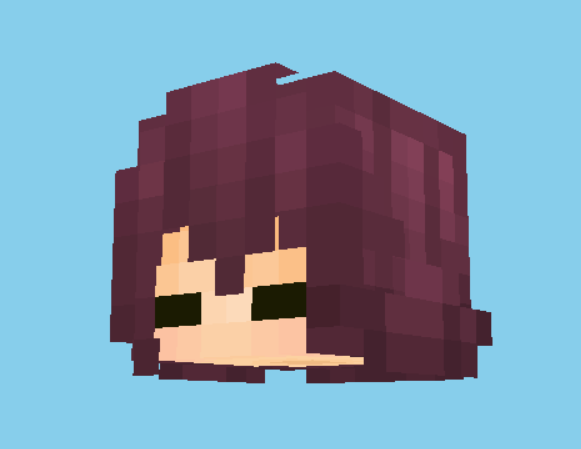 Being obsessed with Yume Nikki (limited interests in fangames). Not an Englush neightive speeker. 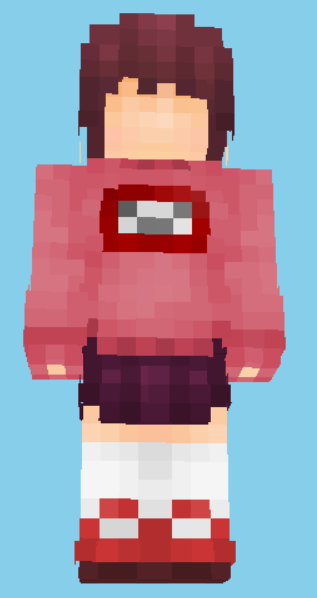 Fun fact: When you create one Madotsuki skin, you get the idea for your next 24 skin. Madotsuki has 24 effects that change her appearance so if I want I can get tons of exp by submitting all of those variations with subtle changes!!! But I'm not going to do this. It's like dumping, people would not be happy about it. Well I might consider submitting some skin with significant changes on her appearance, such as long hair, traffic light, cats or Yukki onna (The Yukki onna one would be a complete new skin). But, they would come after Monoe and Monoko. 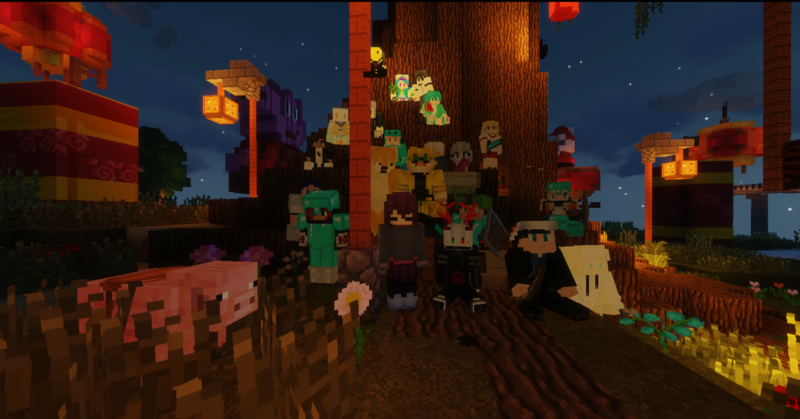 Managed to take a group picture with players from the server. Thank you, everyone. Thank you Madows. Thanks 2018 for giving us so much fun. 2019, it is here, and it's going to be a hard year for me, maybe for many of you. I lied that there will be an update, but there would probably not be such a huge update. Because what lies ahead for me is bunch of challenges and opportunities and I won't spare much time on server management. Because I have realized that it is not such a piece of cake to take up so much responsibilities. From now on you'll be free from my "supervision". I won't be there spectating you from morning to minight, I will no longer be watching the console on my way home and well, I won't be installing any funny plugins that causes glitches and errors. But I'm not going to leave Madows abandoned and put it into any chaos. I will appear from time to time, it's just, not as frequent as how it used to be. Please stay determined and keep going on your journey in the server. We still need active players to keep this place lively. I apologize for being selfish. But I'm just trying to be wise, allocate my time and effort on somewhere else that's more valuable and productive. For me, the opportunity cost on server management is just way too high. And it's not just study and personal development, I have something else that is so precious and I should realize them before they get swallowed by all kinds of reality. Sorry folks. Please be optimistic. Do you guys/girls prefer the new online PMCSkin3D or MCSkin3D as a software? But the new MCSkin3D is more powerful indeed. Those hue shift brushes are great at shading. So I was thinking whether it would be a better workshop or I should stick to the old generation. Or do you folks have other softwares?? ?